Want to work in TV Production? AIM HIGH is back! The new entrant training scheme for aspiring TV producers returns. Northern Ireland Screen and BBC Northern Ireland are looking for motivated, passionate storytellers to take part in this prestigious training scheme. No specific academic qualifications are needed but we do want creative people who can bring fresh ideas to programme-making. Applications open today, Friday 26th May, details of how to apply can be found on the Northern Ireland Screen website. There are nine places available and we expect a high level of competition. 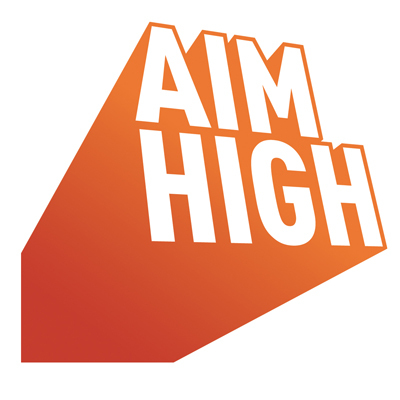 If you gain a place on AIM HIGH you will be given an 18 month contract (minimum wage) and have the opportunity to work on local, national and international television projects as well as short form digital projects for online platforms. We will train and develop you for a career in the media and you will be assigned a senior industry mentor. You will be expected to work unconventional hours and to tight deadlines and you must be able to work flexibly. Applicants will initially be invited to complete an online assessment. From there, those shortlisted will be invited to attend an assessment centre where they will be evaluated in both team and individual tasks. The final nine successful applicants will then go on to complete an intensive two week ‘boot camp’ where they will be introduced to the craft of storytelling for local, national and international television production. After this they will undertake a series of placements in a variety of independent production companies and BBC Northern Ireland for the duration of the scheme. Deadline for applications is 5pm 23rd June 2017. During Aim High Maeve completed a placement with Stellify Media where she had the opportunity to research and develop TV shows that were presented to broadcasters for consideration for commission. It was a great success, with her programme idea Beauty Queen and Single being commissioned and subsequently airing on BBCNI and BBC network. Maeve is currently employed by Stellify Media. Aine worked as a teaching assistant in a primary school before joining the Aim High scheme. One of her placements was with BBC NI where she produced and managed content for BBC Rewind’s social media channels. Aine is currently employed by BBC NI.